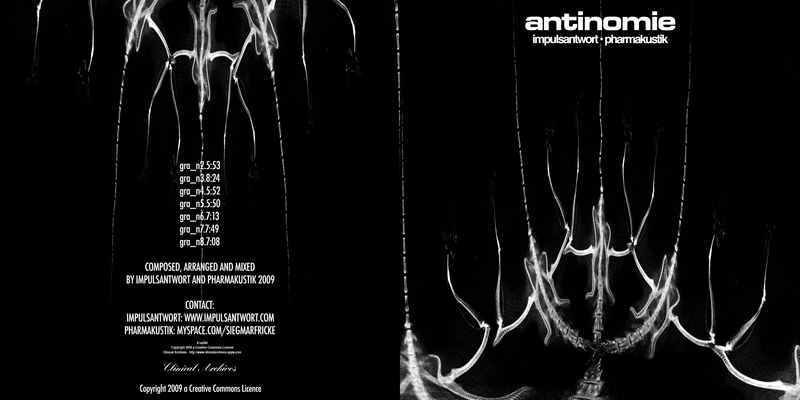 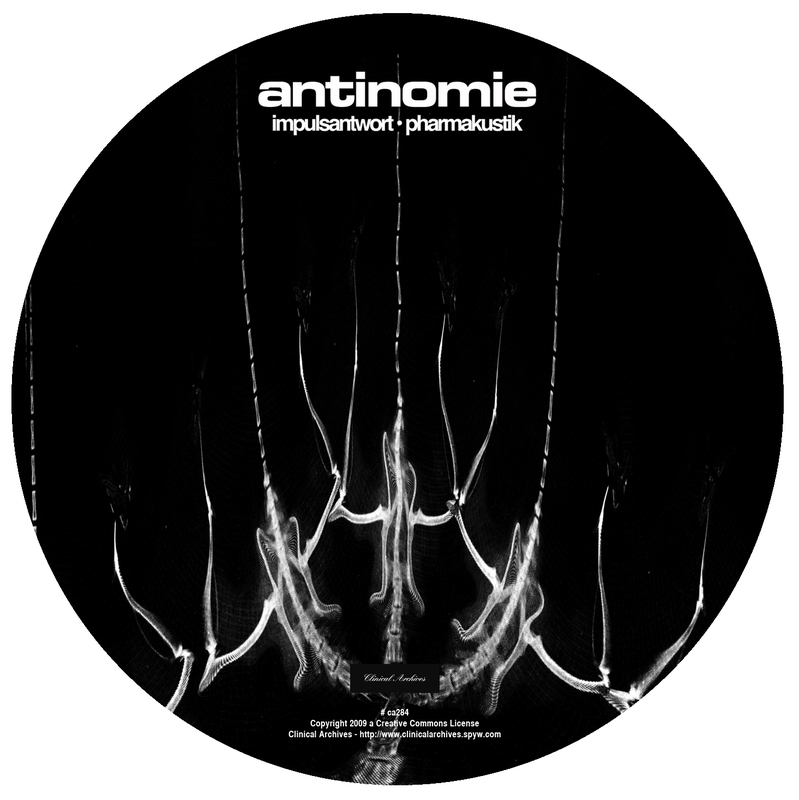 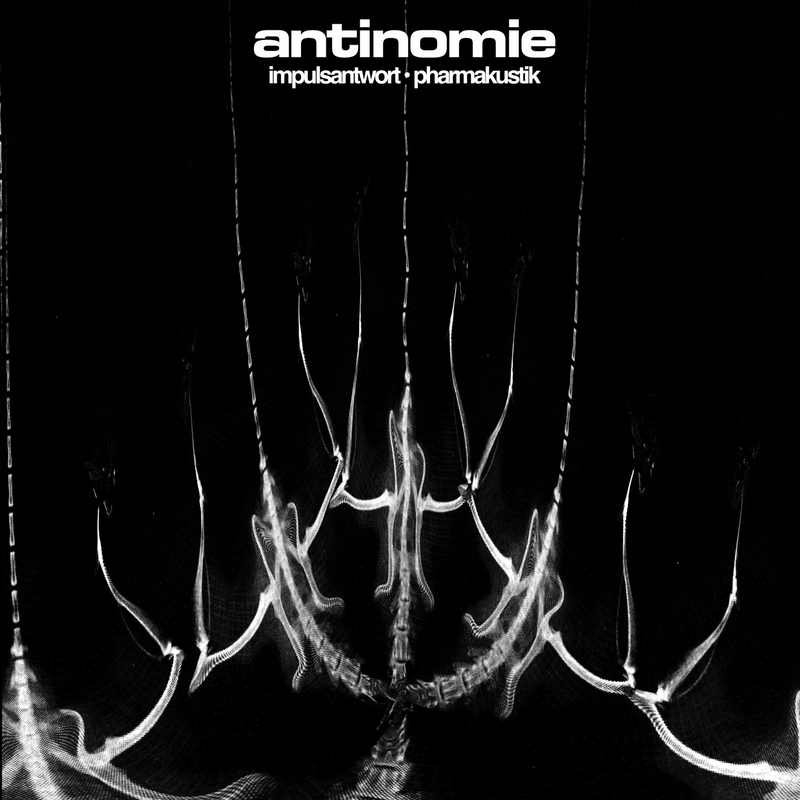 ANTINOMIE, the newest aural investigation by IMPULSANTWORT + PHARMAKUSTIK from Germany contains seven powerful circles of abandoned ambiences full of contradictory particles within the microorganic complexity. 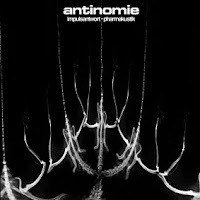 The involvement of granularly shredded machine-propulsions combined with thermonuclear freezing and the final analogue screams from the subterranean draught makes ANTINOMIE an outstanding result of thesis and antithesis. 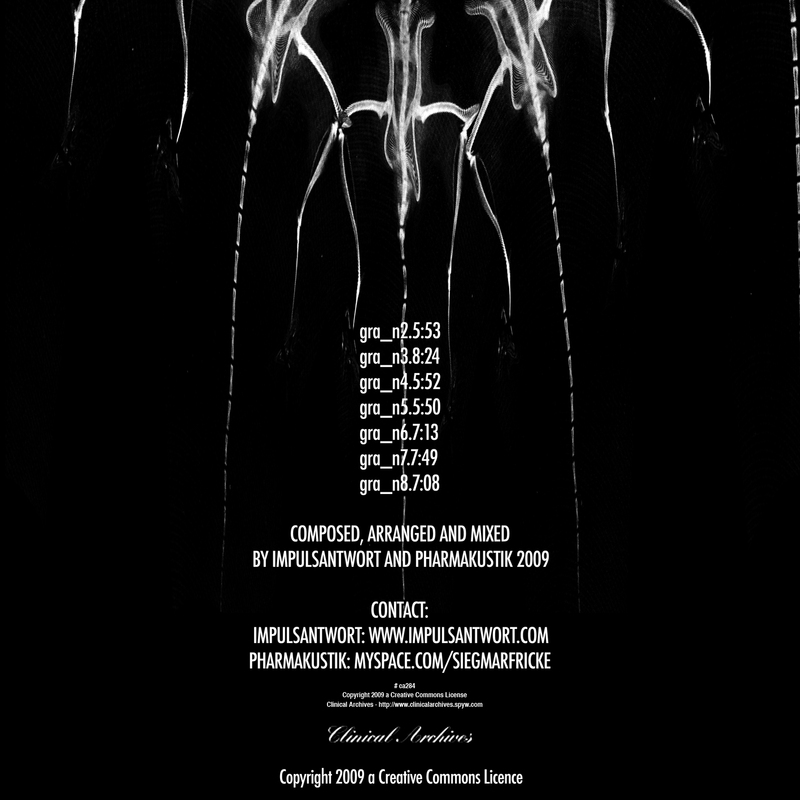 Plasmatic ambiences created from the pool of infinite randomness. 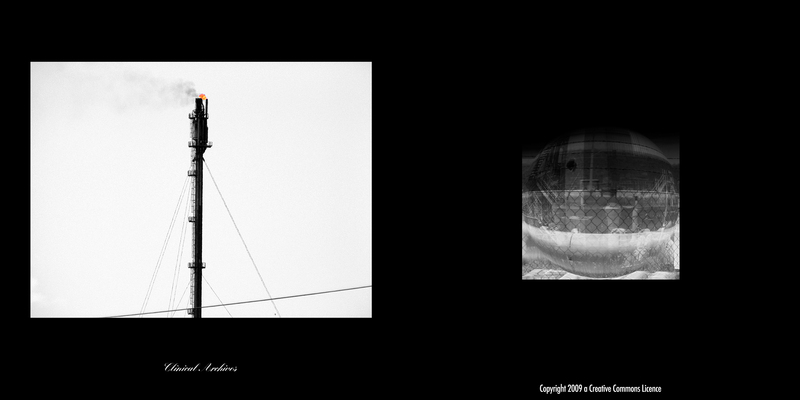 "The source of the new is the random" (Gregory Bateson).